A growing body of literature has identified size reductions of the corpus callosum (CC) in autism. However, to our knowledge, no published studies have reported on the growth of CC volumes in youth with autism. 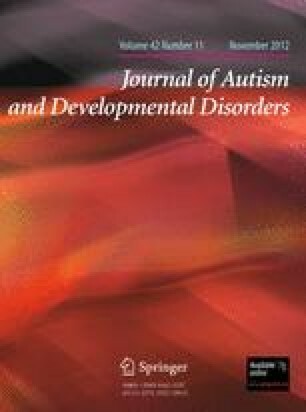 Volumes of the total CC and its sub-divisions were obtained from 23 male children with autism and 23 age- and gender-matched controls at baseline and 2-year follow-up. Persistent reductions in total CC volume were observed in participants with autism relative to controls. Only the rostral body subdivision showed a normalization of size over time. Persistent reductions are consistent with the diagnostic stability and life-long impairment observed in many individuals with autism. Multi-modal imaging studies are needed to identify specific fiber tracks contributing to CC reductions. Dr. Frazier has received federal funding or research support from, acted as a consultant to, or received travel support from Shire Development, Inc., Bristol-Myers Squibb, National Institute of Health, and NARSAD. Dr. Hardan has received research grants from Bristol-Myers Squibb and Forest Pharmaceuticals. None of these directly relate to the present study. This work was directly supported by NIMH research grant MH64027 to Dr. Hardan. This publication was made possible by the Case Western Reserve University/Cleveland Clinic CTSA Grant Number UL1 RR024989 from the National Center for Research Resources (NCRR), a component of the National Institutes of Health and NIH roadmap for Medical Research. Its contents are solely the responsibility of the authors and do not necessarily represent the official view of NCRR or NIH. The authors wish to acknowledge the patients with autism, typically developing participants, and their families. Their effort and engagement was essential to the successful completion of this study.